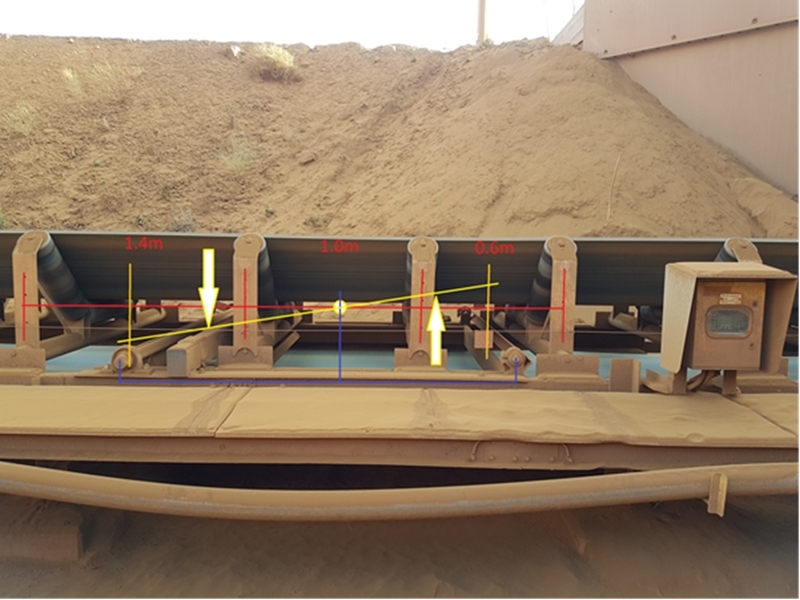 SRO Technology was recently asked to visit an ore processing plant to assess belt scales suspected of being inaccurate. Belt scales are used to weigh products and often control the feed from multiple points onto the belt. Therefore, scale inaccuracies can lead to overloading of the belt and reconciliation errors within the plant. “In a depressed market when every second and kilogram counts in terms of profit, it’s vitally important to make sure your instruments are calibrated and maintained correctly. SRO Technology conducts audits throughout Australasia and it is very common to find issues such as this,” said a company representative. A common misconception by inexperienced technicians is that performing a zero and span will correct the accuracy and repeatability of a belt scale. However, this only holds true if the belt scale has been set up correctly and any excessive buildup had been cleaned off. The scale setup is very important. At the ore processing facility we visited, our seasoned technician was able to easily identify why a plant reconciliation wasn’t being achieved. As shown in the picture, the belt scales had not been installed properly and there were several other mechanical issues contributing to the overall error. Poor mechanical setup can cause issues with accuracy and repeatability. “These issues are only spotted by seasoned scale technicians and SRO Technology have some of the best in Australia, having years of experience. We find a lot of companies opt for contractors that perform multiple tasks onsite and belt scale calibrations are often lumped in with these tasks,” said the representative from SRO Technology. The professionalism and experience of the technician from SRO Technology was second to none. To fix the problem, four units along the conveyor were adjusted, which restored the accuracy and repeatability to an acceptable level. Now the plant operators have renewed confidence in their equipment and know to call SRO Technology in the future for regular maintenance issues.